Manage or use battery optimization android nougat (Android 7.0) and marshmallow (Android 6.0) devices. Using battery optimization, you can optimize individual app and save battery life of your phone. 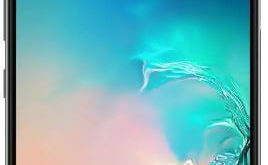 To save battery on your device, when you are’t using your phone, apps are’t continue as background. 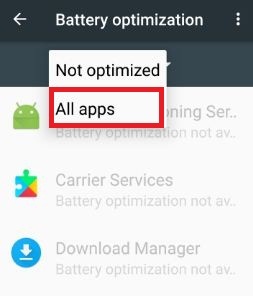 But if you need to use some of the app running at peak level even when you’re not using it, you can turn off battery optimization for a particular app on your android 7.0 Nougat. 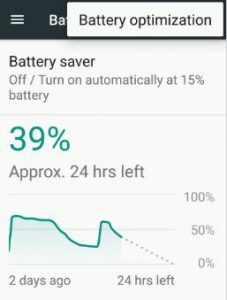 You can use Doze mode to extend battery life on your android phone, it automatically stops background process of apps when your device not use, disable network activity when device unused and work as usually on alarms, Wi-Fi / GPS etc. In android Nougat and other device, you can activate doze mode individually in any app you want. 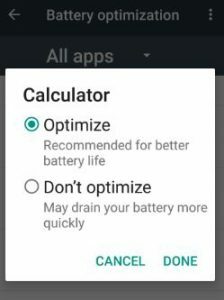 But can’t set “don’t optimize” app, it may drain your battery quickly. 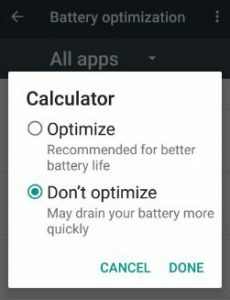 In this tutorial, I will show you step by step guide to use battery optimization android nougat 7.0. 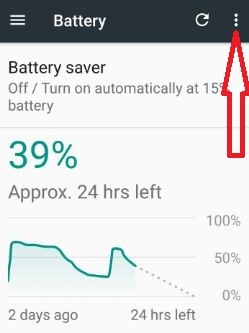 By default enable battery optimization on android phone and save battery life to stop unnecessary background process or apps on your devices. 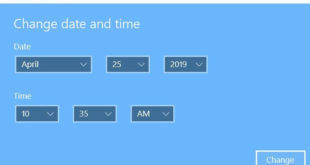 It’s simple to turn on / Turn off battery optimization. Follow below steps to manage background battery optimization on android phone 7.0. You can view various sections. You can see below screen on your Android marshmallow & nougat device. List of installed apps seen on your screen. By default set “optimize” for better battery life. It will drain battery more quickly on your android phone compare to normally use. Did you find above process to use battery optimization android nougat helpful? If you have any questions, comment your feedback in below box. Feel free to share this battery optimization trick with your friends!